​A huge ash column exploded into the sky from one of Central America’s most dangerous volcanoes on Wednesday, reaching airplane-level heights of the atmosphere. 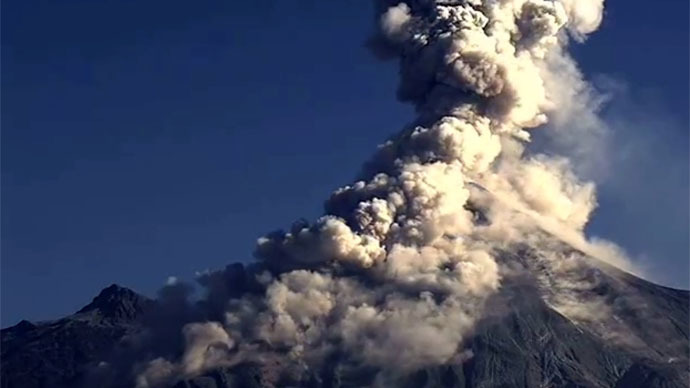 Mexico’s Colima volcano played host to a “strong vulcanian-type explosion” at 9:15 a.m. local time on Wednesday. The mountain belched an ash column more than 4 km above the summit, with volcanic matter rising to 29,000 ft (9 km). The resulting ash flow eventually drifted to the northeast, Volcano Discovery reported. A webcam focused on the active stratovolcano captured the powerful blast. A small pyroclastic flow that descended the steep slope of the volcano was generated during the explosion. The Protección Civil (Civil Protection) said there is not a forecast of ash falling in the region, which is located in southwestern Mexico, according to Mashable. 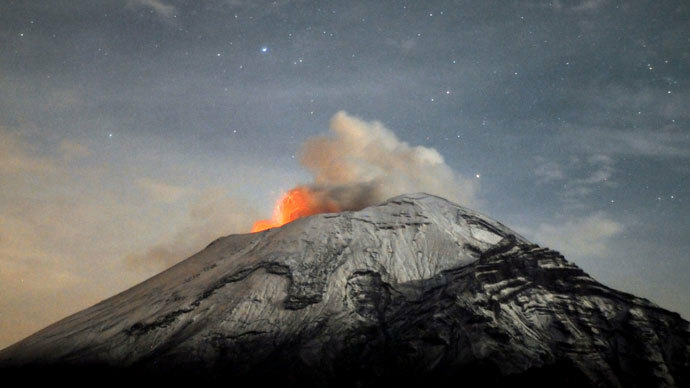 The volcano, which is also known as the ‘Volcano of Fire,’ straddles the states of Colima and Jalisco. Ash fall did occur within the Jalisco cities of Tuxpan, Zapotiltic and Ciudad Guzmán, Volcano Discovery reported. The caldera similarly erupted in November, shooting an ash column 5 km into the air. Frequent small-to-moderate explosions occurred at the volcano's summit lava dome on Sunday. The Colima volcano ‒ the Colima Volcanic Complex’s most prominent volcanic center, located in the western Mexican Volcanic Belt ‒ has had more than 30 periods of eruptions since 1585, including several significant eruptions in the late 1990s.